The Multi-Autonomous Ground-robotic International Challenge 2010 will be held at the Royal Showground in Adelaide, South Australia, Nov. 8-13. Further details on the challenge can be found on the MAGIC website. The final 6 teams, after a multi-stage elimination process, have been announced on July 26, 2010. 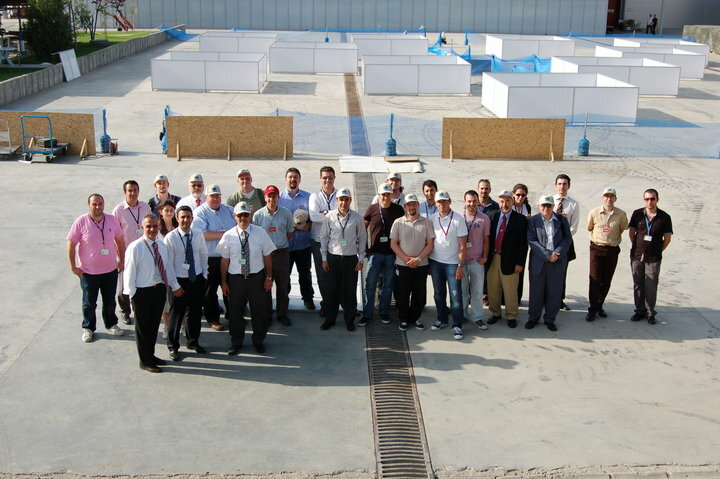 The OSU CITR Lab is a member of Team Cappadocia from Turkey. Team Cappadocia is a group comprised of ASELSAN, Turkey's leading military electronics company serving as the main integrator and university teams: Bilkent University (Robotics Lab), Bogazici University (AI Lab), Middle East Technical University (Robotics & Vision Labs) from Turkey and The Ohio State University (Control & Intelligent Transportation Research Lab) of the USA. 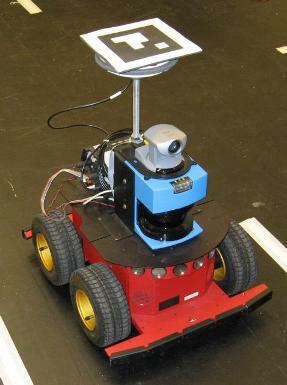 The OSU CITR indoor testbed consists of several families of ground autonomous robots, including ActivMedia Pioneer 3-ATs, iRobot Creates, and several locally constructed robots, as well as OSU-built small automated electric helicopters. 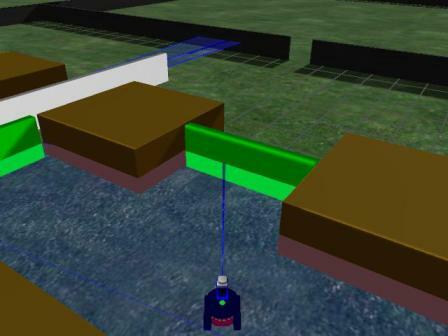 An image processing based virtual GPS system, using encoded tags, provides position and orientation information for all robotic assets with an unobstructed view of the ceiling. Various wireless interfaces provide communications with bench-top computers and the virtual GPS system. The robots are equipped with a variety of sensors, including scanning laser range finders, image acquisition and processing, and ultrasonic sonar sensors. The lab floor is a removable vinyl film containing an urban road network, and can be fitted with mock buildings, obstacles, bridges, and overpasses. Approximately 700 square feet of space is currently available for robot operations, along with adjacent space for computer, bench, and repair facilities. 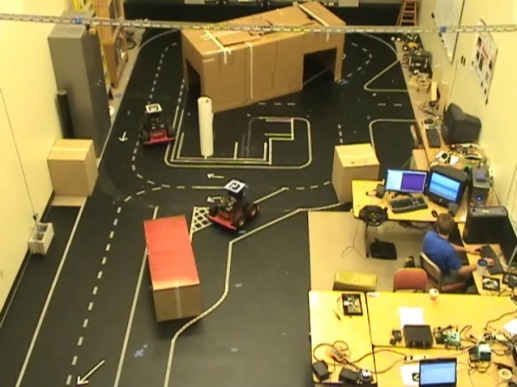 Some indoor testbed capabilities can be coupled with larger, outdoor robotic vehicles and UAVs. 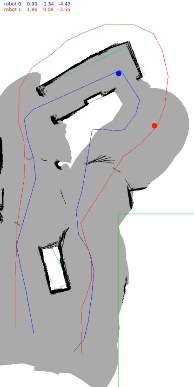 Finally, the software interface for the robots is compatible with a 3-dimensional simulation environment. 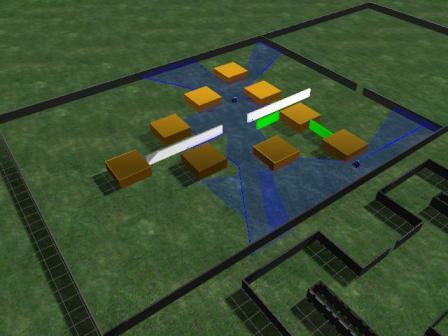 Sensor fusion, low-level control, world model database, and ground station modules were also developed by OSU to provide a fully functional in-house stack for the indoor testbed. The simulator is based on the 3D simulation environment Gazebo (a part of the Player/Stage Project), with significant modifications to allow for our entire range of sensory capabilities and platform capabilities. The interfaces with the simulated robots is constructed to have complete transparency of operation with the rest of the software stack. The same software modules that run on the simulated environment can be run on our indoor testbed and on the actual robots without modification. CITR is developing two of the software modules in the overall architecture, in addition to the simulation environment described above. 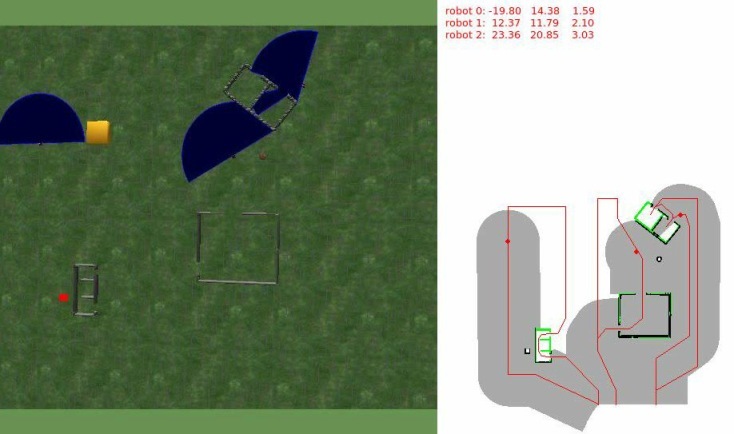 These two modules, the Dynamic Mission Planner (DMP) and the High-Level Controller (HLC) are responsible for the central task assignment/mission completion and independent decision making of each robot. 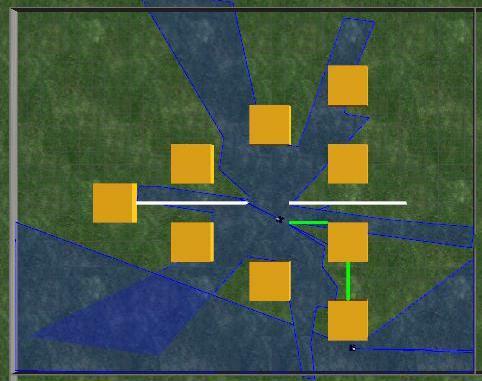 In particular, the Dynamic Mission Planner deals with the segmentation of the mission, optimal task assignment and mission-level path planning for the robots. The High-Level Controller module is in charge of the actions that each robot is responsible for, depending on the command and sensory inputs. 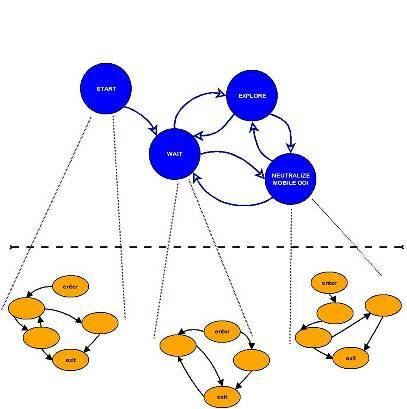 This abstract-level decision making is accomplished in a situation-aware, hierarchical finite-state machine. Each robot has its own HLC that sits in a hybrid-state system setting, coupled with the actual robot.